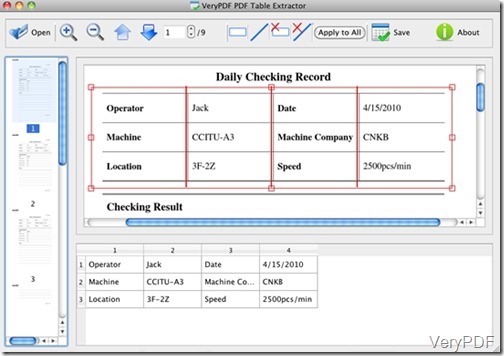 What is PDF Table Extracter for Mac? 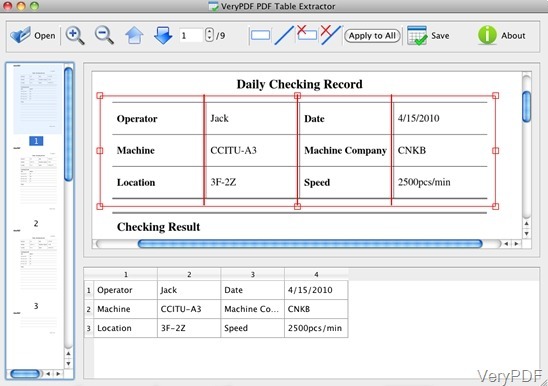 PDF Table Extracter for Mac is a very useful and efficient software which can help users extract table data from PDF files into Excel sheets and CSV files. 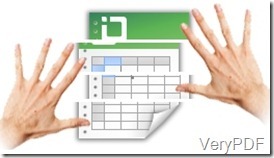 This software support two kinds of output formats: Excel sheet and CSV files. Users can design the table columns based on their own needs with this software. One obvious advangtages of this software is that it can help users preview the table divison. What are the shining points of PDF Table Extracter for Mac? Support running on Mac OS X v 10.5, 10.6, 10.7, etc. Support saving the exported table data to Excel sheets. Support saving the exported table data to CSV files. No need for third-party PDF application. Apply one table division setting to other pages. How to extract PDF table data to Excel sheet or CSV files? Many users may be worried whether this software is very hard the understand or run on the PC, You do not need to worry about this for it is very simple and easy. Download the trial version on your PC, and install the application ,then the interface wil be shown on the desktop. Click the button”Open”and select the PDF file and it will be previewed on the left panel of the interface. With the button “Up”and ”Down”, users can preview the previous and the following PDF pages. Besides, users can zoom in and out the PDF pages with the buttons . Selecting the text tables with the button , the selected text tables will be displayed on the interface. Draw vertical lines to seperate the text tabel into different table columns with the mouse cursor on the top or bottom border line of the rectangle when mouse cursor become a cross”+”.Then the divided text will be exported into different columns. If selected table columns or lines are unnecessary, they can be deleted with the buttons .If the column setting can be applied to all the pages of the PDF files,click the button “Apply to All”. Click the button “Save”and select Excel or CVS in the Save Files dialog. Then they can be saved to Excel sheets or CSV files. If your in trouble with such problems. do not hesitate to downoad the free trial version and experience the advangtages of this software. How to Convert PX3 to Bitmap? How to modify PDF document properties from Visual C++? How to convert Word to PDF via command line? Convert pcl to jpeg and set page size via command line? How to convert PXL to BMP and set color depth?